After the group finish their booking, the hostel will ask for a 20% non-refundable deposit (after 15% the guest deposited to Hostelworld). This 20% will not be refunded in any cases. The remaining amount will need to be paid 2 weeks prior to arrival at the latest. Cheap Sleep is an authentic hostel just opened in 2012. Totally renovated with free wifi to all rooms, you'll find Cheap Sleep Helsinki a great place to get some sleep and meet interesting fellow travelers passing through Helsinki. A large common room is a key to what makes Cheap Sleep a fun, relaxed and social place to stay. 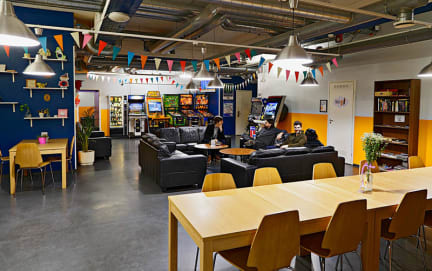 Our hostel has a fully equipped kitchen and a dining area next to the common room, plus there's a supermarket on-site. We offer a mix of dorms and private rooms including Double, Double Ensuite, Twin, Triple and family room. We have 218 dorm beds split between 14 rooms, with the smallest being 4-beds and the largest 26-beds. Each bed has an electrical outlet and reading light. Our rooms have views of Vallila's historic wooden house district. Our reception open 24/7 so you can feel free to check-in any time. Free for every guest! CheapSleep offers a continental buffet featuring bread, cheese, ham, jam, porridge with cinnamon and cardamom and coffee and tea. Breakfast is served between 7 and 10 every day. Towels and slippers are available from reception with additional charges. It’s a pleasant stay for a relatively low price. Nice and cheap hostel. 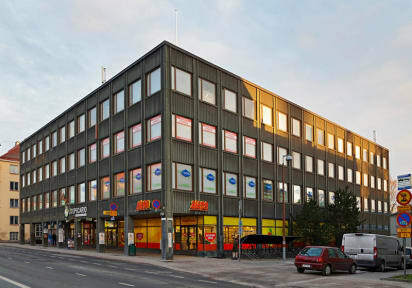 The location is a little bit out of the city center but easy accessable by public transportation. Nice large-scale hostel. Simple but sufficient facilities. Very diverse guests, ranging from traveling students to older couples and Finnish adults. Prima prijs-kwaliteit voor Helsinki, voor 1 nacht in november. Sfeer was apart, voelde me niet op m'n gemak als vrouw alleen. Ontbijt was prima en keukenfaciliteiten ook. A very efficient and big hostel is kind of like a well organized prison. Only in prison people smile more and pay a bit less money. :-) It's ok because it is relatively cheap. Otherwise I would go to a place with a more personal attention and warmth. The 18 person dorm felt good due to the clever design with corners. Loved the lockers which work with your card and the showers where good. Toilets a bit smelly, beds made sqeecky noice and breakfast ok. Good for one night of sleep.